Why your phone does not charge when you just wet it? A wireless hard drive is an external storage device that uses a wireless connection (Wi-Fi or Bluetooth) to allow access to its stored content. This type of solution allows you to store content that can be accessed from a connected computer or mobile device without the need for cables and is an ideal solution to meet our file storage needs as we move away from the desktop in the middle of the mobility era and under any OS. A wireless hard drive constantly emits its own Wi-Fi network to which the devices at your fingertips can access using a password. If connected from a PC, the unit will be displayed in the corresponding file browser as if it were an internal or external unit connected by cable. If you connect from a smartphone or tablet, it will activate a window with the necessary steps to start transferring files to and from the unit. 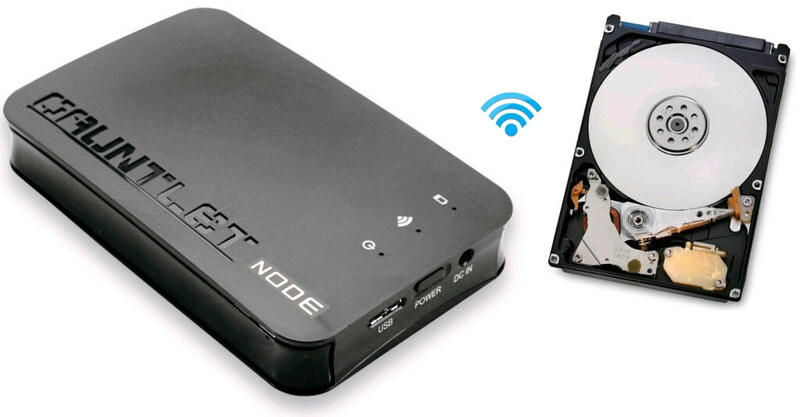 In front of a typical external hard drive (or SSD) connectable via cable to a peripheral connection port (USB, Thunderbolt, eSATA …), a wireless hard disk is connected by Wi-Fi or Bluetooth standards to allow access to its stored contents. It is particularly useful for use from mobile devices such as smartphones, tablets or camcorders although they really work with any computer that has access to your network. Not all are advantages. This type of storage solutions work with batteries, which for some users may mean a lack of autonomy. The duration of the battery will vary depending on the model and the activity. Most manufacturers offer about six hours of activity in operation, raising the figure to about 20 hours if the unit remains on hold. Additionally, for these scenarios, they can also work with cabling when needed, because they include a port for loading and data transfer. When Apple announced the iPhone 6s the criticisms were accumulated by the inclusion of a model with only 16 GB. Insufficient capacity penalized even more by the lack of support for microSD cards. Interestingly, Apple introduced the 4K recording and Live Photos application that in that capacity offers a measly clip of 30 minutes. In this type of scenario where we should value the purchase of a wireless hard drive. In addition to storage, another of the advantages of these devices is their use as a media server. The best wireless hard drives include a range of integrated capabilities for this, working with smartphones, tablets, smart TVs, streamer like the Chromecast and services like Plex. Simply connect the wireless hard drive to the network and all the content of movies, TV shows or music you have stored can be played in the entertainment center. Also highlighted its use for storage of backup copies of equipment, files or for use in photography, now that the 4K devours capacity at a great pace. Another advantage is the possibility of accessing several computers simultaneously, something we cannot do on cable devices. Its design is increasingly stylized and its weight does not usually exceed 400 grams, which allows great mobility. Some models also include rugged casing for use in commercial or industrial settings or simply to protect the unit.